Five of Australia’s elite dog groomers are celebrating their prestigious 2014 State Royal Groomer titles as the year comes to an end, and preparing to clash clippers at the ultimate grooming competition next year. The top pet stylists are winners of this year’s Royal State by State grooming challenge hosted annually by the Pet Industry Association of Australia, in conjunction with the Royal Agricultural Shows in the groomers' respective States. 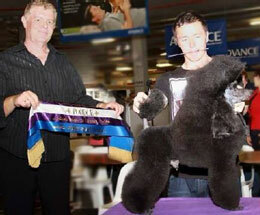 With this year’s Best in Show title under their belts, the five Royal groomers will compete against each other at the Pet Industry Association’s ‘Supreme Royal Grooming Championship’ held at the Sydney Royal Easter Show in April next year. “Competing at a Royal Show is for many groomers the peak of their achievement and something they strive to achieve in their discipline,” says Karen Swan, Grooming Director of the Pet Industry Association. Running for the Supreme Royal Groomer title will be James Bennett of Queensland, Annette Whitelum of New South Wales, Lauren Novak of South Australia, Dani Segal of Victoria and Helen Forester of Western Australia. The State Royal grooming competitions began running three years ago and are getting better and better each year with improved grooming skills and an increasing number of breeders and exhibitors competing, says Ms Swan. “Some of the competitions at this year’s State Royals were very tight. Judges had to work really hard to choose a winner. It came down to finding the minutest hair out of place,” she says. 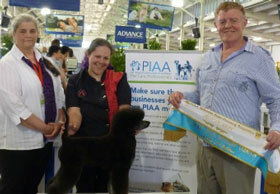 For more about the Pet Industry Association of Australia’s 2015 Supreme Royal Groomer Championship, visit PIAA. Brisbane Royal Grooming Champion James Bennett, 20, is the youngest person and first male to ever win a State Royal Grooming competition. Mr Bennett is a fourth year apprentice fitter and turner, but also works part-time as a groomer, breeds Poodles breeder (Danrith Poodles) and is successful in the dog show ring. He started grooming more seriously after his mother passed away 3.5 years ago, inspiring him to work harder to gain better skills and more knowledge. “Winning the Brisbane Royal was something I was trying to tick off on my to-do list. I didn’t place last year because I didn’t know enough. This time I changed my mentors to learn more about doing it my own way and make my own style,” he says. 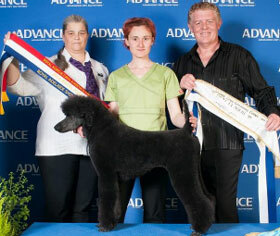 After competing for the Supreme Royal Groomer title next year, Mr Bennett will travel to America for two months to work with world renowned Poodle specialist and professional handler Ann Rairigh. A former veterinary nurse and TAFE groomer instructor, Helen Forester has been grooming for 16 years but came into competitive grooming only a few years ago. Since then she has been travelling the world attending grooming seminars and competitions to gain more knowledge and experience. “When I was a vet nurse, I enjoyed grooming dogs and cats that came in for surgery and making them look good before presenting to their owners. After completing a TAFE course I opened a Salon within the hospital,” she says. Ms Forester now runs a home-based salon, K9 Style Dog Grooming, and more recently groomer training. Second-time Adelaide Royal Grooming Champion Lauren Novak started her grooming career at the age of 15, bathing dogs at a salon during the Christmas holidays. When she finished school, she started working as a groomer and is today at the age of 23 running her own salon, Precious Paws. Ms Novak took out last year’s Adelaide Royal Groomer title as well, but was unable to travel to Sydney this year to compete in the Supreme Royal Groomer Championship. 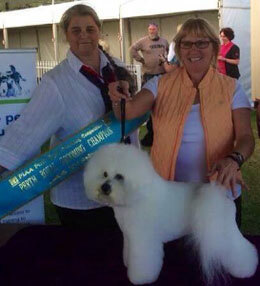 The Sydney Royal Groomer title was awarded to Annett Whitelum, Certified Master Groomer who runs Turners & Pooch Pet Salon on NSW’s North Coast. "Winning this award means a great deal to me," she says. "It was also a bit of a surprise as I entered the competition to catch up with my fellow grooming competitors from around Australia and give my dog a much-needed haircut!" 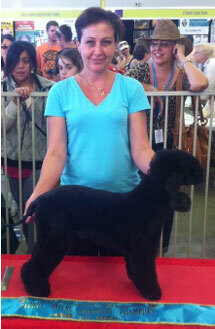 Ms Whitelum considers herself “just a pet groomer” and has wonderful clients, friends and family who believe in her. “To show them I can compete and achieve great results against groomers from all around Australia feels great!” she says. Melbourne Royal Grooming Champion Dani Segal has been a professional groomer for nearly a decade, opening her business Divine Dog Grooming Salon five years ago. She has won many awards over the years but taking out the Melbourne Royal Groomer title is her “biggest accomplishment by far,” she says. “Best in Show is something I have been working towards for a long time now, so to finally succeed means all my hard work has been worth it,” she says. Her second Melbourne Royal Grooming competition, Ms Segal feels honoured to compete against some of the best groomers in the country. 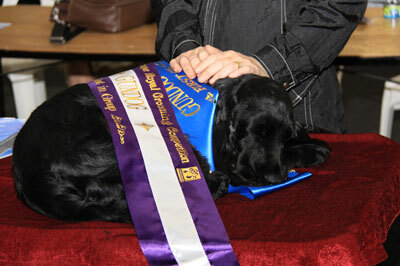 “I’m so excited to represent Victoria at the Supreme Royal Grooming Championship!” she says. 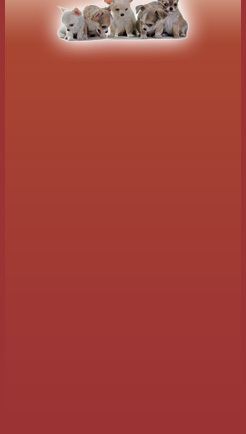 *There are currently 738 people online.